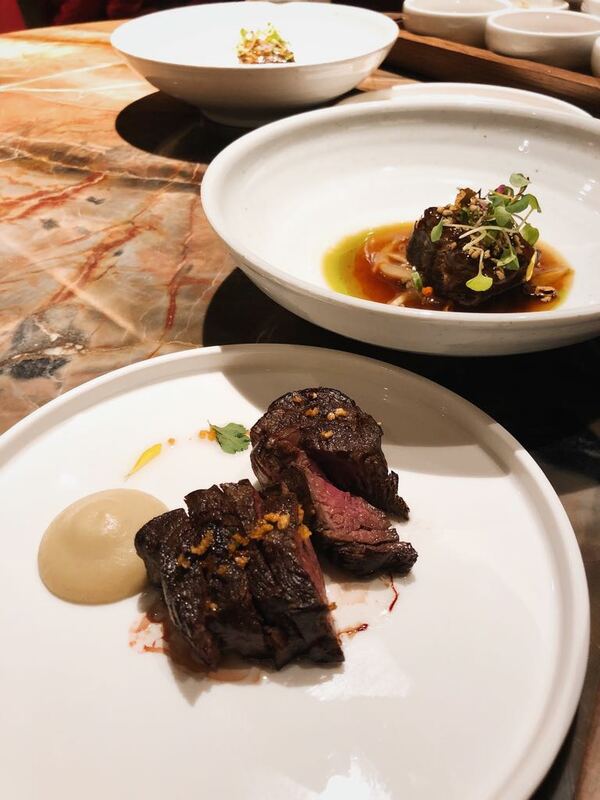 During my visit to Seoul in April 2018, I have discovered this modern Korean cuisine created by Chef Edward Kwon. 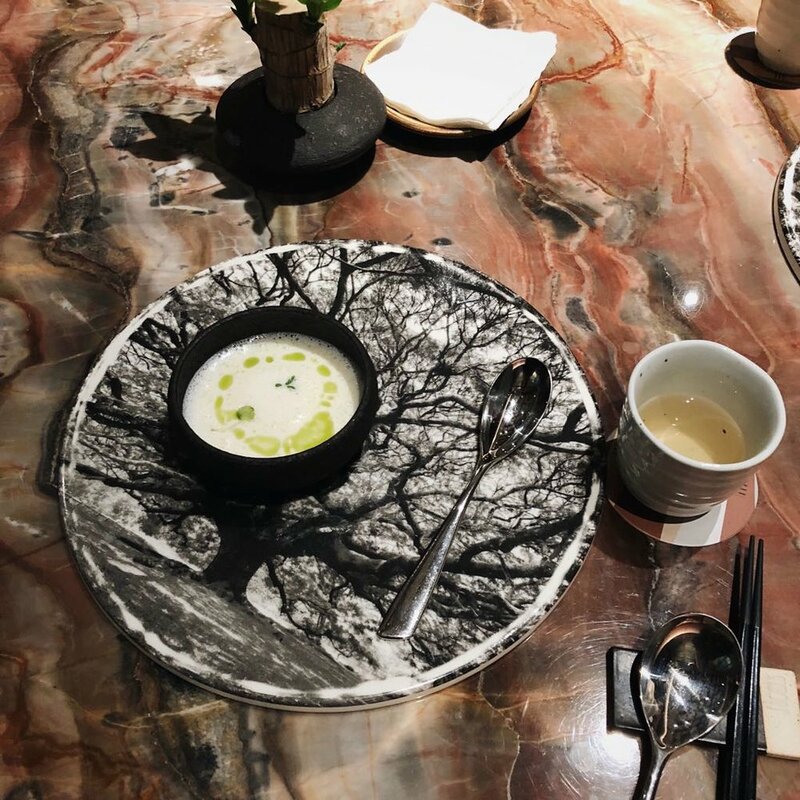 The story behind the dishes is the four trigrams that appear on the Korean flag, course menus are created based on traditional Korean food with a contemporary touch. The menu is absolutely fascinating where it has an all rounded coverage with seafood, meat, vegetables and grains. Basically if you come here, you need not to worry with the inability to try out any traditional Korean dish during short travel trip. I didn't know this is a soup when I was looking at the menu. A creative expression of a Korean style of soup. Think of it in a lively/ hilarious way, imagine a Korean Mom used long hours to bring in all the natural earthy ingredients just for this. Yet, flavour-wise, I am not really a great fan of it as the fluid tastes too milky and the base is not complex. I have no idea why this dish is called "shrimp & mustard' when the ingredients themselves do not contain any of it. I should really have a interview with the chef to see the interesting behind the name. Anyways, this is indeed a refreshing appetizer presenting their skillful chef's knife skills. And again, this petit starter is creatively assembled and presented. 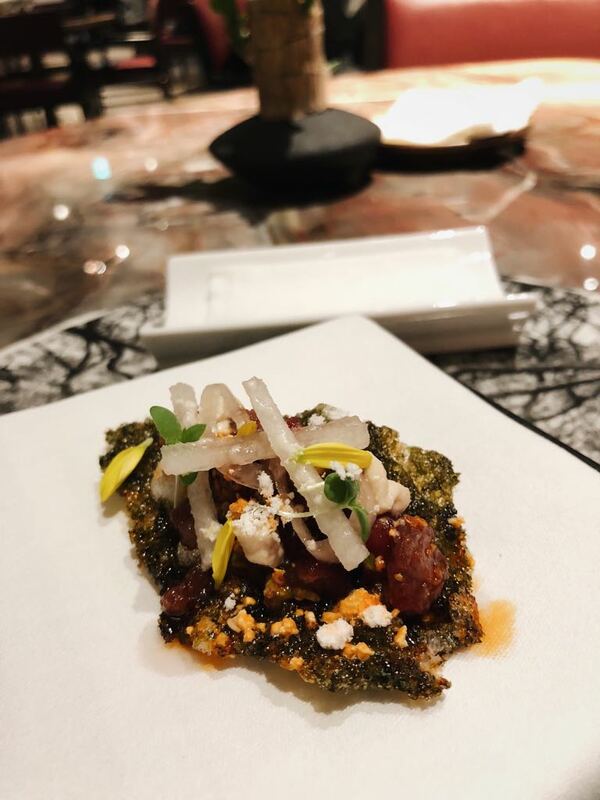 Absolutely sophisticated in its texture, where the tenderness of the classic beef tartar came across with the crunchiness of the seaweed cracker, and surrounded by interesting textures like the peanuts around. Flavour-wise, the meaty beef matches so well with the seaweed. Did not have the full description for this as it is a seasonal pick. A bit too large in portion for a crab cake as the composition is rather oily. Excellent in the mixture with the authentic crab meat and herbs in it. Also a pop-up dish, it is a deep friend soft shelled crab in the perfect temperature and texture. It would be even better if there's a sauce with it. The abalone was originally quite fresh and even better with a Caviar touch up. The steamed egg custard is excellent in its texture, smooth and perfectly cooked. The style of this dish so much manifested the gem of Asian cooking style with its seafood ingredients. “G A L B I "
Using Korean Tenderloin, the beef has its authentic taste and the tenderness is perfectly maintained. However, the sauce and overall speaking it is not very impressing especially when it is the main dish. Rice has a exceedingly important role in Asian culture. It is the root for the agriculture and everyday household food. I do appreciate the chef's creativity in bring the household component with the western ice cream making technique. Personally I really like the design of the burnt rice dessert, look at how how nicely it is made! These desserts are 'gentle', not over-sweetened, not full of guilty pleasure like how you just finished a chocolate fudge cake, but a taste of 'home sweet home'. 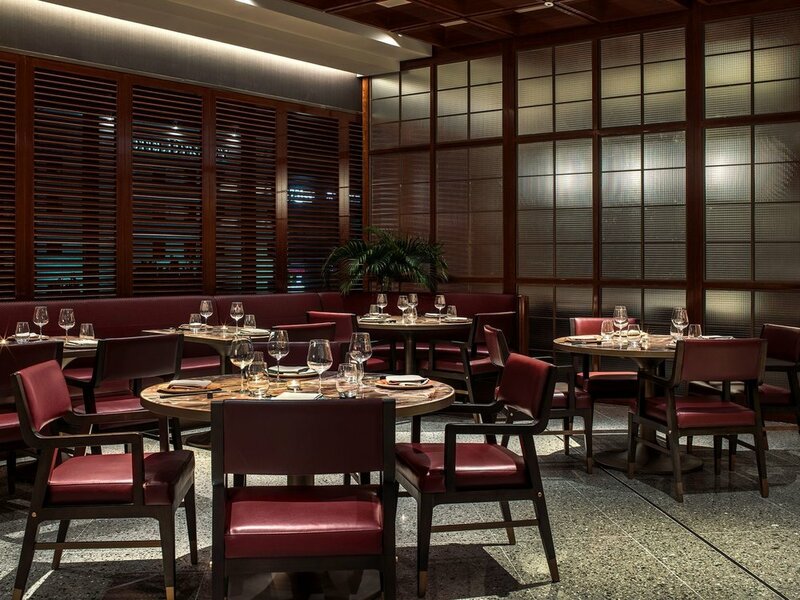 Located in the Gangnam area hotel underground, this restaurant is a good place of business meeting or you need a place for a talk, family friendly as well. It is not exceedingly romantic though. Hope you like my sharing!